Markets Of Sunshine: Click, Shop, Win! What's New in 2016 With Markets of Sunshine Etsy Shops! 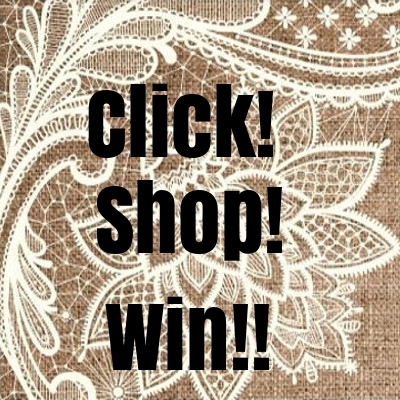 Click, Shop, Win! What's New in 2016 With Markets of Sunshine Etsy Shops! Click, Shop, Win! When you open and read your VIP Sunshine Club newsletter in 2016 and you will read the latest deals that will be offered to you from Markets of Sunshine Etsy shops. When you shop with any of our four Etsy shops, you will be automatically be entered to win a set of 10 of our original artwork note cards sold in our Paradise Gifts Club Etsy shop. That's right! Every month we will give away a set of 10 note cards to one customer each month. Plus, everyone who makes a purchase from any of our four Etsy shops will receive a free gift with their purchase. It's a BOGO deal with every purchase. We will surprise you with a free gift from our product line. Each shop will have a daily deals section. We will discount the price of one item every day. If you miss that deal it will go back to the original price the next day. So, you have to come back daily to grab the deal before it is gone! If you've been eyeing one of our secret compartment books you won't want to miss checking out our My Secret Compartment shop daily for the day you'll get one for a steal in our daily deal! We want to know what you are looking for in our shop. Tell us what item you'd like to see in our daily deal section. We will pick in the order they are posted and them to the daily deal section for that next week. So, you'll have to stay on your toes and mark your calendar to grab your deal the week it is posted. Could be any day so you'll have to check daily to see when your item is selected. It will be lots of fun and it will keep me busy changing the daily deal and it will keep you busy coming to my shop each day to see what deals you can grab. Favorite each shop below on Etsy and bookmark the page so you can come back in a flash each day. The fun doesn't stop here. For all of my loyal VIP Sunshine Club members who open their email and read the newsletter they will find a VIP coupon code to use on the daily deal!!! It will be good for one week only. The coupon code will change weekly so you have to open the new email each week to get the new coupon code to use for that week's daily deals. hehe!!! Markets of Sunshine wants to bring you our loyal VIP Sunshine Club member's the best deals on the web in 2016!! Sending You Sunshine and Best Wishes for a Happy 2016!! Will Marsha ever run out of neat ideas? I hope not. Thanks so much for an awesome Team, Marshas!! Thank you to my wonderful customer Hayley who came back and bought another weekly planner set from me this year! All I can say is. . . AWESOME!!!!!!! How fun this will be. . . I would love to see the Blue bird note cards set of 10 in the daily deal!! I love those and need more. Thank you Joanna! I will be sure to put that on my list of upcoming Daily Deals for you!